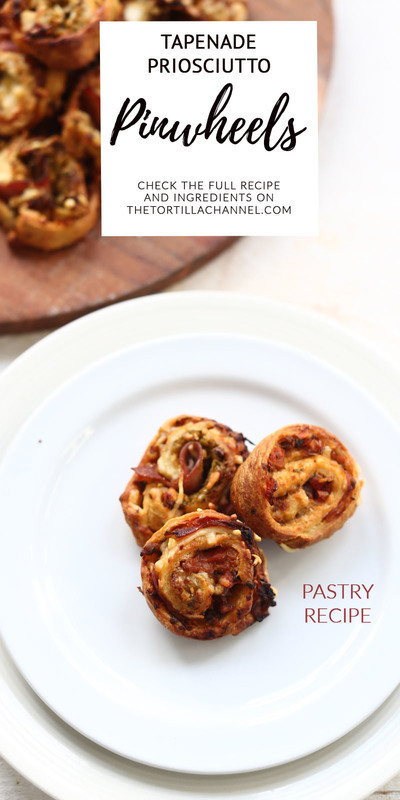 These tapenade prosciutto pinwheels are such a great snack. They are made with green olive tapenade and sun-dried tomato tapenade, prosciutto, puff pastry and lot's of cheese. In a matter of minutes you can make a fancy oven-baked canapé.